The worst part of it was that when he was arrested and the preacher said please don’t take my Bible, the other policeman said well then you should’ve thought of that before you were racist?!!! 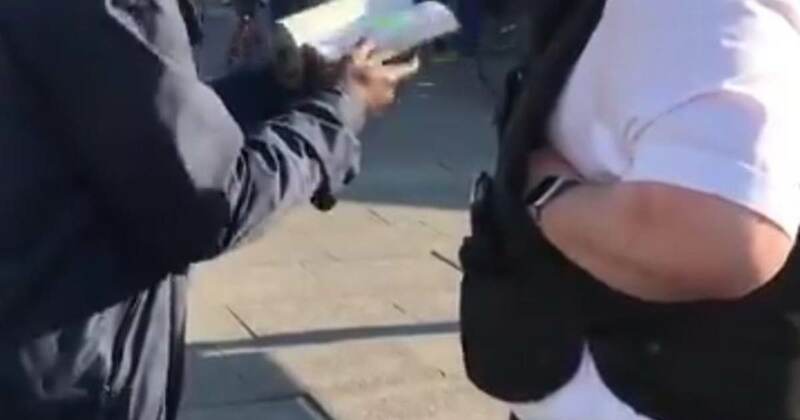 Video from London shows a black street preacher being arrested for breach of the peace for telling passersby that “Jesus is on the way.” The video was posted to Twitter Saturday by the London based Eye on Antisemitism which said they filmed the arrest Saturday afternoon outside Southgate station. The group noted police told him he was accused of Islamophobia, which is not seen on the video, and accused him of being racist, which is on the video. A group called Christian Concern volunteered to represent the preacher.